This rare documentary shows how the m.v. Galaxy was fitted out in Miami, Florida. From specially discovered exclusive, never-seen-before colour footage of the Second World War minesweeper being converted to a radio ship, see her in dry dock and the mast being craned into position and the m.v. Galaxy leaving for UK shores. Then catch up with her in Lisbon, Portugal before the Galaxy finally arrives off the coast of England. See life at sea with many of the Big L Deejays on board. 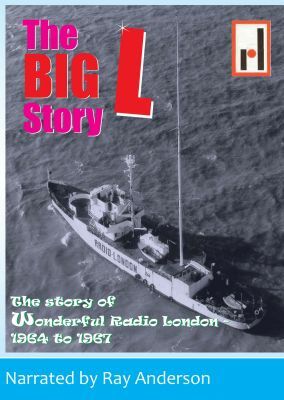 The DVD includes the story of Big L right up until the closedown in August 1967. A must for all Big L fans! Narrated by Ray Anderson. Now Available.